This daily moisturizer reduces visible signs of aging and helps protect against further damage to the skin. An effective PHA/ Bionic complex helps reduce advanced glycation end-products* to preserve skin’s natural collagen and firmness. This unique complex helps restore and strengthen the skin’s protective barrier, making it ideal for use on easily irritated, sensitive skin. Broad spectrum sunscreen defends against UV damage which can contribute to premature aging. 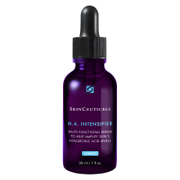 Potent antioxidants including grape seed extract, Gluconolac- tone and Lactobionic Acid, scavenge harmful free radicals, helping to promote youthful skin and elasticity. Appropriate for all skin types including sensitive skin. 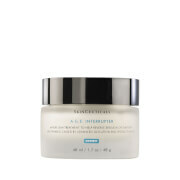 Helps restore skins protective barrier. Aqua (Water), Gluconolactone, C12-15 Alkyl Benzoate, Ethylhexyl Methoxycin- namate (Octinoxate), Propylene Glycol, Titanium Dioxide [nano], Caprylic/Capric Triglyceride, Cetearyl Alcohol, Octyldodecyl Neopentanoate, Lactobionic Acid, Sorbitan Stearate, Isopropyl Palmitate, Tocopheryl (Vitamin E) Acetate, Vitis Vinifera (Grape) Seed Extract, Methicone, Glycerin, Dimethicone, Caprylyl Glycol, Arginine, Ammonium Hydroxide, Glyceryl Stearate, PEG-100 Stearate, Alumina, Poly- acrylamide, Polyhydroxystearic Acid, Ethoxydiglycol, Xanthan Gum, Hydroxyethylcellulose, Laureth-7, Disodium EDTA, C13-14 Isoparaffin, Sodium Sulfite, Sodium Bisulfite, Phenoxyethanol, Chlorphenesin.